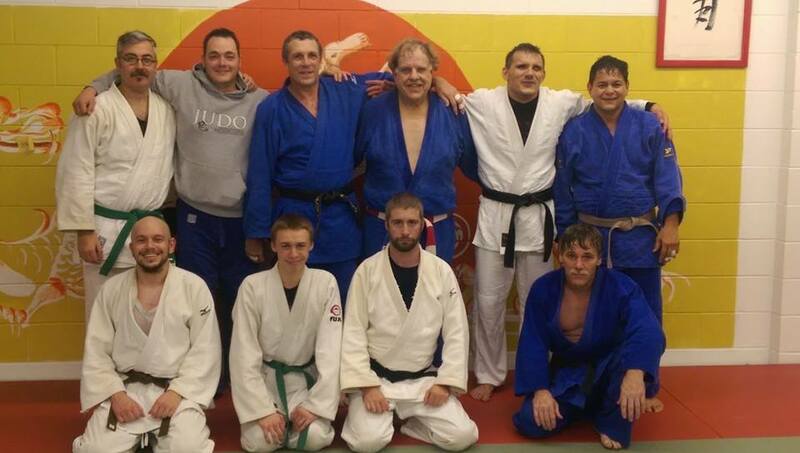 Randy Pierce was the special guest instructor for judo class on Wednesday, October 22, 2014. Sensei Pierce has assisted White Dragon Judo Club with good instruction for their referees, tournament coordinators, and judokas. Pierce has been in judo for over 50 years. The Rokudan has competed in over 2000 judo matches and has over 1000 victories. For Wednesday’s class, Sensei Pierce demonstrated one of his favorite techniques. Harai goshi or hip sweep is a technique that Sensei Pierce often won a majority of his judo matches. In Wednesday’s practice, demonstrated the fundamentals of the throw. He also showed crafty and practical combinations to the technique. He also displayed his secrets to the success of the judo technique. 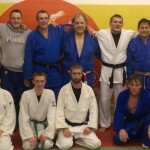 It was a fun class and everyone picked up some good judo instruction. 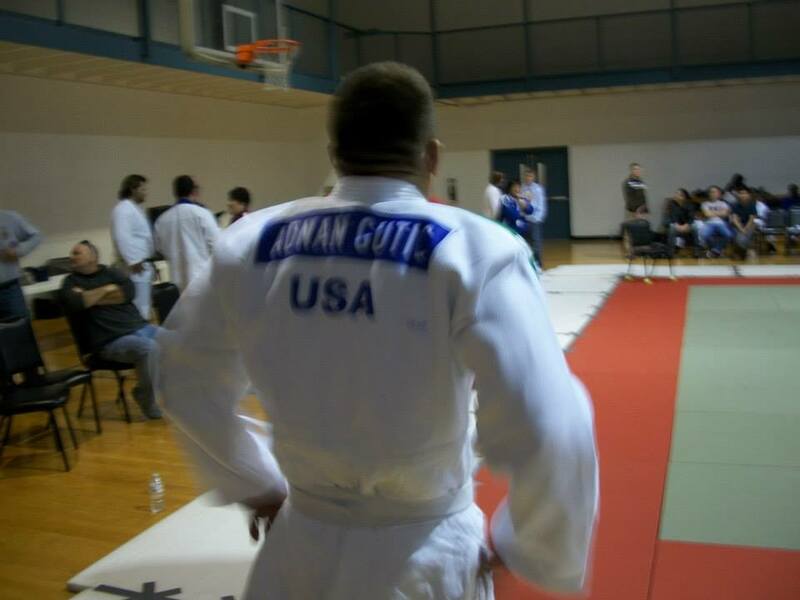 The 4th annual Gateway Judo Tournament took place on October 11, 2014 at the Overland Community Center in Overland, Missouri. 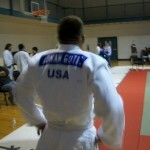 White Dragon Judo Club hosted this tournament. The competitor turnout had doubled from last year. Tournament director, Derick Wellman, made some suttle adjustments to make the tournament more efficient and enjoyable. Dan Dillon and Louis Paez were the official coaches for Team White Dragon. In the junior divisions, Korbin McNabb and Sean Butler took on heavy opposition and took silver. Devin Busch was relentless with his attacks and found a way to win. He took second place in his category. Jeric Gumahin took bronze in his division. Issac Valdez De Soto collected his second gold of the year with a splendid performance. Anthony Darevesky was the junior MVP of the tournament. He won gold in his category. This was his first gold medal of the year. In Senior womens division, Marissa Arndt dominated with her patented drop seoinage to win gold. In the Senior men category, Jay Baker shook off the mat rust and managed to win a bronze medal. Anthony Weeks persistence worked well for him to get a bronze. Eric Fink was awesome in his second appearance in shiai competition. He placed second in his division. Bat Unur “The Batman” Erdenebayar scored his second consecutive gold medal with some solid groundwork. In the Masters division, Eugene Hamilton won his second consecutive Gateway Masters gold with a beautiful harai goshi in the final. Adnan Gutic was the overall MVP of the tournament. He displayed great technique in this tournament, throwing two of his opponents with tomonage. Gutic went 8-1 on the day, taking gold at 81kg and silver in the open weight category.